The Ukrainian hryvnia traces its lineage back to Kievan Rus, but the latest incarnation of the currency was only reintroduced in the late 1990s. After recovering from the fall of the Soviet Union, Ukraine enjoyed a brief period of prosperity before being hit by the double blow of the 2008 financial crisis and annexation of Crimea in 2014. In the eleventh century the grivna was the currency used in Kievan Rus, thought to be derived from the Slavic word for ‘mane’. This may indicate that the origin of the word refers to valuables worn around the neck, such as a necklace or other jewelry. Eventually grivna came to mean a specific weight of valuable metals. Ukraine spent much of its history split between rival empires. Leading up to the 20th century the country remained split between the Russian Empire and the Austrian-Hungarian Empire, using each country’s respective currency. Ukraine declared independence in 1917 and began using the hryvnia. Ukrainian independence was short lived and soon the revived hryvnia was replaced again by foreign currency. The Ukrainian karbovanets (also called coupons) was introduced by the government, and used during times of crisis throughout the 20th century: 1917-1920, 1942-1945, and 1992-1996. By and large the standard currency for Ukraine throughout the 20th century was the Soviet ruble. After the end of communism the karbovanets returned, until it was replaced by the hryvnia at a rate of 1 hryvnia to 100,000 karbovanets. In Crimea, which was annexed by Russia, the Russian ruble is now the local currency. 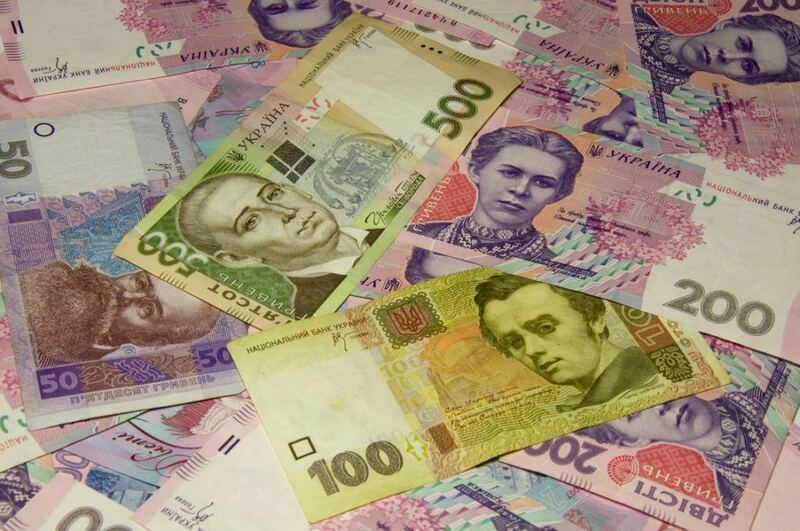 In Donetsk and Luhansk the hryvnia remains in circulation despite declaring independence from the the rest of Ukraine. The hryvnia symbol is the Ukraine letter ‘He’ written in cursive with two horizontal lines through the centre. 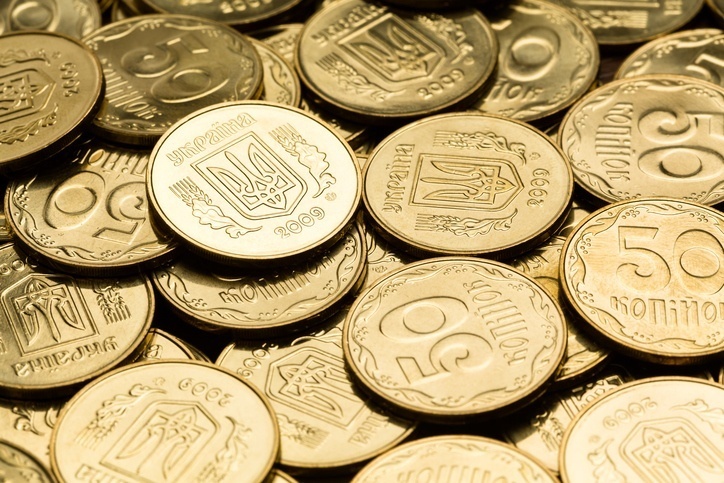 The official exchange rate when the hryvnia was introduced was UAH 1.76/USD 1. Following the Asian financial crisis it was devalued to UAH 5.6 = USD 1.00 in 2000, and the aftermath of the recent financial crisis sent the currency tumbling further to UAH 7.88 for USD 1. As instability began to wrack the country in 2014, the decision was made to float the UAH freely in order to liberalise the economy, meet IMF standards, and encourage investment. The currency quickly lost about 70% of its value but was eventually stabilised at around UAH 22 = 1. As of January 4, 2017 the exchange rate is about UAH 27 to USD 1. Ukraine was the Soviet Union’s second largest economy (after Russia), but after the fall of communism the country initiated economic liberalisation policies. This, coupled with loose economic policies and general instability, led to massive inflation. Ukraine still holds the record for the most hyperinflation in one year. By 1999 GDP was only 40% of that in 1991. Over the course of the 2000’s Ukraine’s economy strengthened, but the 2008 financial crisis hit the country hard. The IT sector is important to the economy and growing quickly. Ukraine has the fourth largest number of IT professionals in the world, behind only India, the US, and Russia. The country also has a considerable amount of heavy industry. Metals and petroleum products are major exports. Before the country could recover from the financial crisis, another crisis hit: civil unrest, civil war, and the Russian annexation of Crimea. GDP is a respectable $87 billion, but this represents a decrease from the previous year. Ukraine has had a tumultuous history, and unfortunately for Ukrainians and the hryvnia the uncertainty looks set to continue. High inflation, decreasing GDP, and continued unrest means that the Ukrainian economy and the hryvnia will likely remain depressed until the situation becomes more stable. Discover much more about Ukraine with our Profile and Travel Guide.